Set on the east coast of New Zealand's north island, Cumberland Court Motel offers spacious luxury suites just 1 km from Hastings. Each suite offers a spa bath and a fully equipped kitchenette. Guests at Motel Cumberland Court have free use of a local fitness centre and lap pool. Facilities include free on-site car parking and a guest laundry. All rooms include a flat-screen TV with satellite channels, ironing facilities and private bathroom. There is also a work desk with Wi-Fi access in every room. Continental and cooked breakfasts are available each morning. 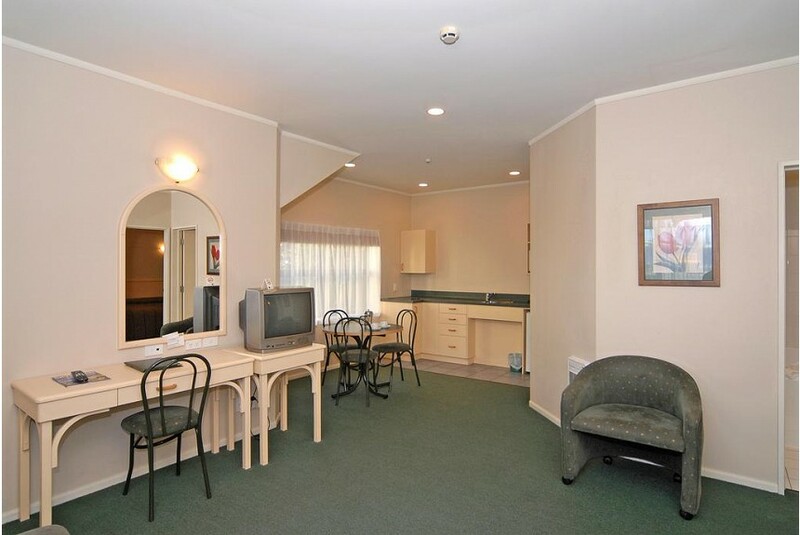 Napier city centre and Hawke's Bay Airport are a 20-minute drive from Cumberland Court Motel. The Splash Planet water theme park is only 10 minutes’ drive away.